On March 30, 2019, Sister Alice Zachmann joined a list of 350 outstanding women recognized over the past 38 years, by the National Women’s History Project and the National Women’s History Alliance in Washington D.C. The National Women’s History Alliance is an extension of the National Women’s History Project, a non-profit educational organization. Their mission is to recognize and celebrate women’s diverse and historic accomplishments. Founded in 1980, The National Women’s History Project led the effort for a Congressional Resolution and Presidential Proclamation that designated March of each year as National Women’s History Month. The National Women’s History Alliance is Writing Women Back into History by focusing on a specific theme through which women are nominated for consideration. The theme for 2019 was “Visionary Women: Champions of peace and nonviolence.” Six living and six deceased women were honored for their exceptional efforts to end war, violence, injustice, and their pioneering efforts in the use of nonviolence to change society. These Honorees embraced the idea that the means determine the ends and developed nonviolent methods to ensure just and peaceful results. Sister Alice Zachmann was recognized for her achievements as a visionary woman who actively strives for peace and nonviolence. From 1954-1981, she was a teacher but always an advocate for victims of violence. She worked for an end to the Vietnam War, supported the United Farm Workers in their struggle for just wages, and was a leader in the West Seventh Community for the elderly and served as a pastoral minister. With the blessing of her community leaders, Sister Alice founded the Guatemala Human Rights Commission/USA in 1982, with the SSND charism foremost in her mind: “To make the concerns of the poor our own.” The goal of the commission was to research, document and make known the people tortured and massacred in Guatemala, and to protest the United States sending aid to the Guatemalan military that was killing thousands of people, destroying villages and allowing for the disappearance of Mayan indigenous peoples and others. In 2002, Sister Alice retired as Director of the Guatemala Human Rights Commission/USA and joined Sister Dianna Ortiz at the Torture Abolition and Survivors Support Coalition International (TASSC) where for the next 10 years, she assisted survivors of torture from various countries in overcoming the trauma they endured and helped them find housing and legal help to obtain asylum. 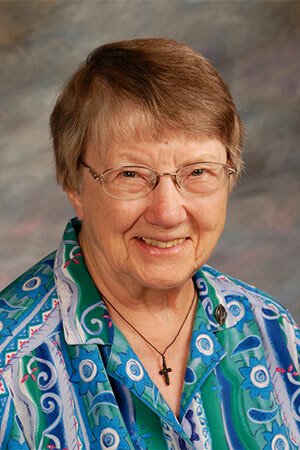 In 2010, Sister Alice retired to Our Lady of Good Counsel in Mankato, Minnesota. 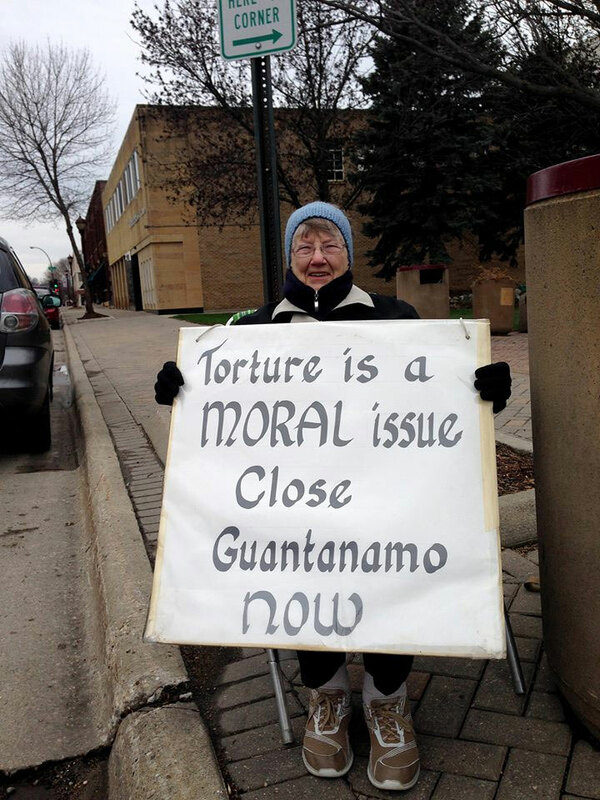 Even in retirement, Sister Alice continues her work against torture, war and human rights violations. Her commitment to non-violence is always foremost in her work. Since 2010, Sister Alice can be found at Jackson Park in Mankato, Minnesota, participating in peace vigils such as the one mentioned in the Mankato Free Press article recognizing her work. Sending sisters to Austria Read Sister Carolyn Sur’s reflection on the process of sending two School Sisters of Notre Dame to Austria to teach immigrant and refugee children English. Sisters Jean Greenwald and Helen Plum will spend one to two years in this ministry working with children from the Middle East and Africa.